When it comes to mountain ranges, Australia sure does a fantastic job. Each state and territory offers some truly remarkable mountain settings that will astonish and impress even the most travelled among us. However, we've narrowed it down to just 10 to help you get started on your campervan hire holiday. The Blue Mountains can be found just a stone's throw away from the city of Sydney, making campervan hire Sydney a great option for travel. 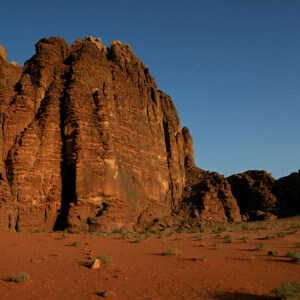 They are a visually stunning example of sandstone plateaus and gorges. The Three Sisters are a must-see highlight of the park and are particularly beautiful at sunset. The walls of Kings Canyon stand at an impressive 300 metres high, making their imposing presence greatly felt in the Watarrka National Park of the Northern Territory. This stunning gorge has been inspiring photographers, hikers, rock climbers and nature lovers alike for years, with its sheer striking beauty so intriguing that you may never wish to leave. The "Snowies" are the highest mountain range in Australia and are home to our highest mountain, Mount Kosciuszko. However, don't let the name fool you; these mountains are beautiful all year, with each season distinct and offering gorgeous landscapes. Arising majestically from the Wimmera plains of western Victoria, Mount Arapiles is undoubtedly one of Australia's most sought after rock climbing destinations. There are some great walks around and nearby the mountain for those not wishing to endeavour on such a dramatic climb, ensuring there is something here for everyone. 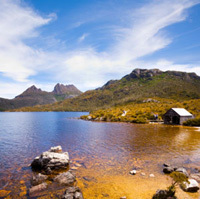 Cradle Mountain is part of the Tasmanian Wilderness World Heritage Area and is beautifully contrasted with Lake St Clair, one of Tasmania's most remarkable lakes. This mountain is also the starting point of the Overland Track, which is a must for any avid bushwalkers, while in this part of the country. Also known as the "High Country", these ranges are present in the areas between Melbourne, Bairnsdale and Wangaratta. 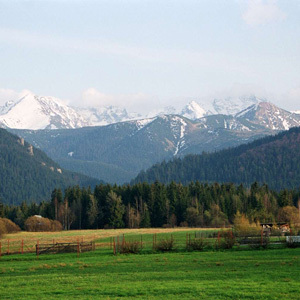 These glorious mountains are popular for skiing in winter, while during the summer months, fishing, rock climbing and mountain biking are popular options. The Glasshouse Mountains National Park rests in the incredible Sunshine Coast region of Queensland, just a short drive from the capital city of Brisbane in a campervan hire Brisbane. This exciting array of mountains are visually pleasing and provide climbers with a challenge that is sure to please. Located in the Northern Territory, the MacDonnell Ranges are an important part of Australia's Aboriginal history, and boast some of the most incredible views in the country. There are also several great swimming holes to check out while in both the West and East MacDonnell Ranges National Parks. Recognised as one of Australia's first national landscapes, the Flinders Ranges are cultural and scenic masterpieces, encompassing everything the Australian outback is all about. 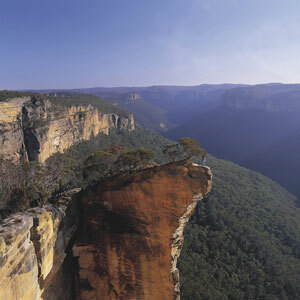 This truly is the perfect place to see rugged peaks, starry skies and everyone's favourite Aussie mascot, the kangaroo. Another great destination for spectacular mountain ranges is New Zealand. Discover these gorgeous mountains on a campervan hire Queenstown vacation.